If you can take ibuprofen (Advil, Motrin or Aleve), it does help reduce inflammation when taken pre-operatively. We recommend 2 tablets of either medication 1hour before endodontic therapy. If you have been advised by your physician or dentist to use antibiotic premedication because of mitral valve prolapse (MVP), hip, knee, cardiac or other prosthesis, or if you have rheumatic heart disease, please make sure you are on the appropriate antibiotic on the day of your appointment. While you are anaesthetized, “frozen”, and may not have feeling in the area, please avoid eating or drinking anything hot as you may not feel the heat and may burn yourself. You may experience some discomfort on the tooth that has been treated. This may last anywhere between 1-2 weeks. Swelling in the affected area may also occur. These are not unusual post-operative events. After surgical root canal therapy has been performed, there are post operative instructions that must be followed in order to aid in the healing process. You will need to care for the area the most within the first 24 hours following treatment. 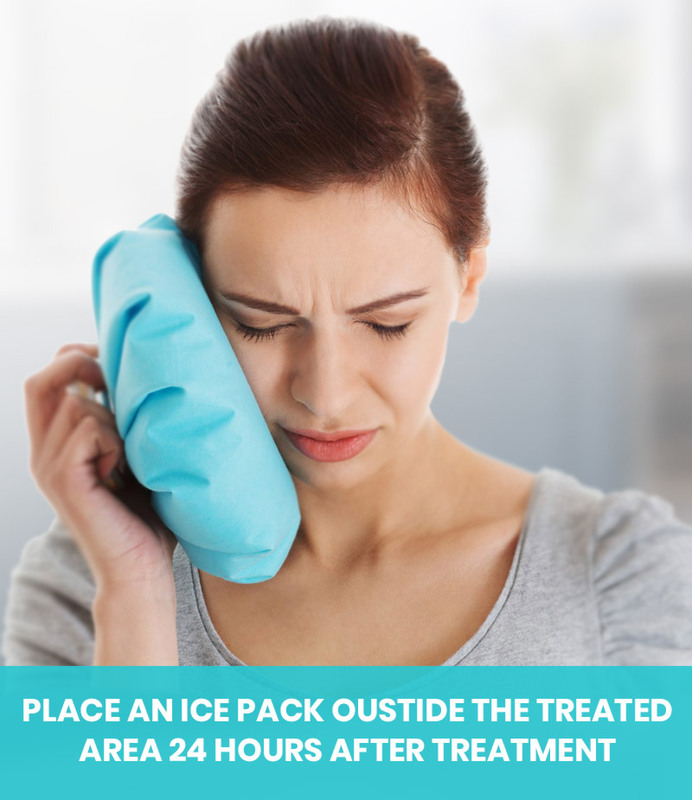 Immediately after your treatment it is very important to place an icepack on the outside of the treated area. Ten minutes on – ten minutes off for the remainder of the first day. This will aid you in any swelling that may occur. Please keep in mind that there may be increased swelling on the third or fourth day following your treatment and that this may be part of normal healing. We also recommend that you sleep with your head in an elevated position as this minimizes potential swelling in the surgical site. Your diet for the first day should consist of soft foods; such as pastas, eggs, soups, etc. No hot fluids, such as coffee should be ingested – keep fluids at a lukewarm temperature. Naturally, we would like you to keep food away from the surgical site. Please continue to take your antibiotics until finished and your pain medications if required for pain and swelling. If anything out of the ordinary is experienced, please feel free to contact our office and we will be able to answer any questions or concerns. Keep talking to a minimum for the first day and do not lift your lip in order to look at the surgical site. If you are a smoker we would ask that you refrain from smoking for at least 48 hours. On the day following the treatment, you will start to care for the area by rinsing between meals and following meals with Periodex, an oral rinse provided by our office. Do not use any other mouthwash solutions at this time. Brushing the gums with a Q-tip and toothpaste where the stitches have been placed is also very important. By brushing very lightly, you will remove plaque – which is bacteria – from the surgical site and therefore prevent any problems with healing. You will continue to brush and rinse until you return to our office to have the stitches removed. Please remember to keep the area clean!! !